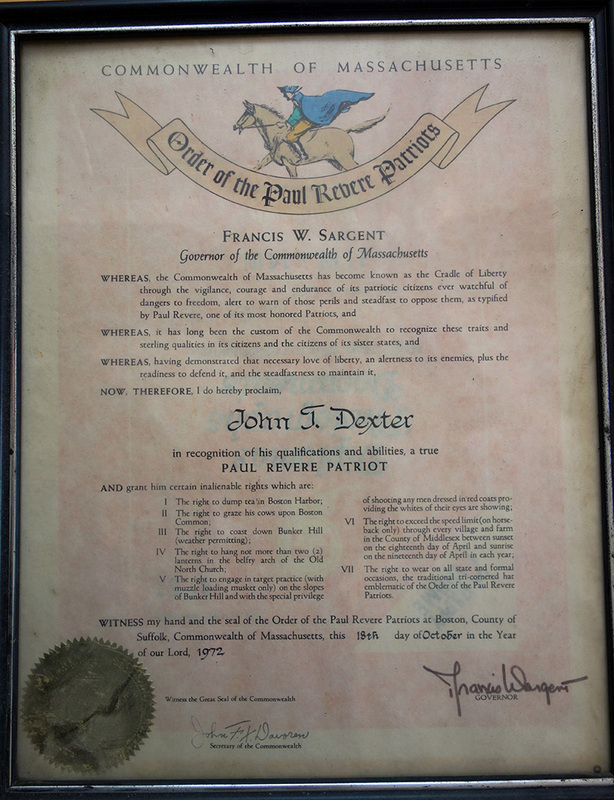 It continues to be of great interest to me, the life of John T. Dexter, for he still lives! John and I first met when I was Director of Boxford Camp, looking for a Head Boys Counselor, and was told that one was available. I was told that I would have no worries having this man to head that position for he had some experience there before the war under Clara Gomnes. Sounded good to me for that meant one less slot that I had to fill on the staff. He really filled the position with great skill and Boxford was at a loss when he needed to make the move to a more demanding position, that of heading up the Caddie Camps in New Hampshire. 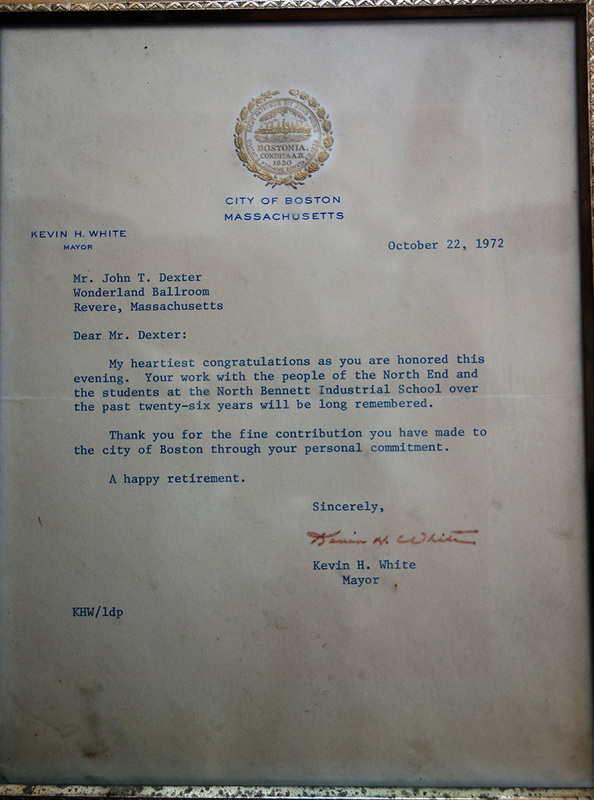 My interest in the life and legacy of John Dexter continued since first meeting in 1946. He was first an employee, then a good friend, and then I met and later married his brother, Bill. I feel honored to share with you my feelings about why John Dexter lives. John worked for thirty years at NBSIS. His recompense was amazingly small, in large measure due to his usual discussion at “raise time” when he would say that something new was needed in Shaw House. But he paid his bills! 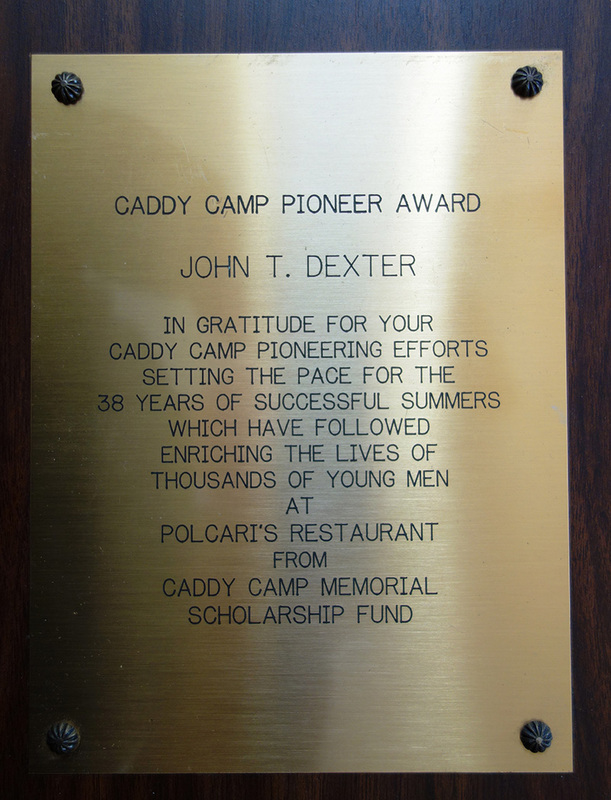 Since John’s death in 2001, we have carried on with awarding the John T. Dexter Scholarship awards for two years. 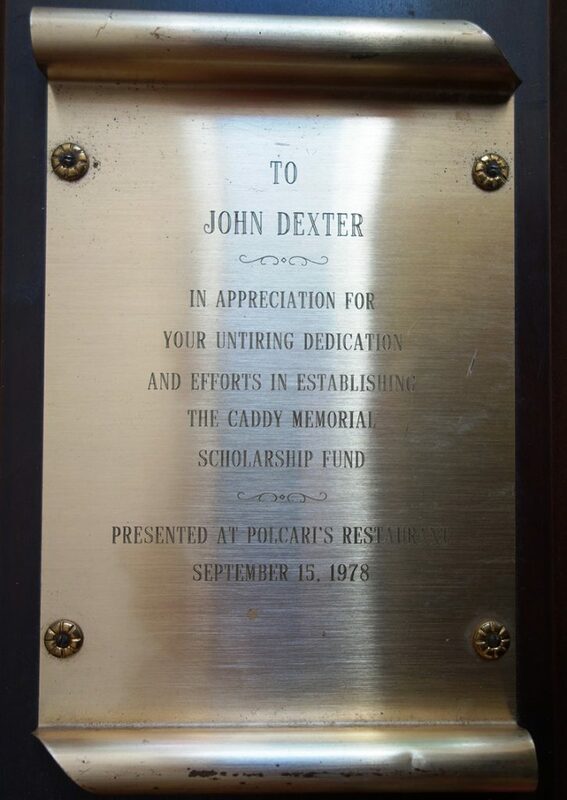 The scholarship was established largely through the generosity and devotion of the Caddies who wanted to honor him in some way. Support, also, came from his new families and friends in Wolcott, VT. But he did manage to buy his home in Wolcott, VT., his sanctuary that many of you have known as youngsters. That was serious living when he first arrived, not accustomed to the heavy-duty winter living. No running water. No wood gathered for that first year. But, those of you who have read the Couriers know probably more about his first winters in Vermont. But, he made it. A survivor who did not complain. Needing a few pennies more, he worked at the Copley Country Club, working at the pro shop and did some work keeping up the greens and fairways. But, then, the big break came when he was hired at the Wolcott Elementary School as School Secretary. This was a great day for him and them. J.T. Dexter was working his magic again! He loved the work and the school loved him. 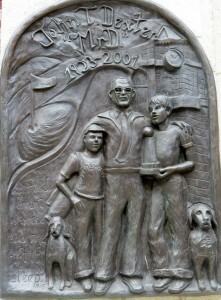 He brought along another ace, his love for chess, and before long, children of all ages were hooked on chess. Picture John teaching chess to little girls from the kindergarten. He put a lifesaver on the corner of the board for the winner! And he talked warmly and encouragingly, “think hard; think twice,” being his song for success. Now, as a result of John’s presence and influence, chess continues at Wolcott Elementary School. The John T. Dexter Fund is making it possible for students to have a week of chess instruction with a real pro each summer. Also, the John T. Dexter State Chess Tournament is being held each year. His home, Tamarack, has been purchased by his niece, Barbara, who is professor at U. of Pennsylvania. She and her family will come to Vermont as vacations permit and perhaps will use this as their retirement home. Barbara and I, according to John’s wishes, scattered his ashes around this place that he so loved – his gardens, the paths he walked with Lucky and Skippy, the bridge that crossed the brook, the quiet sanctuary. 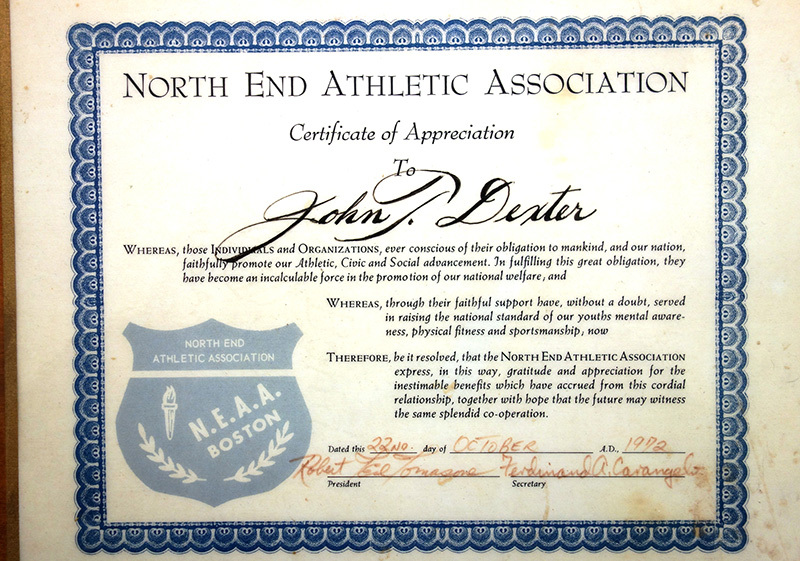 Presently, I am in process of settling John’s estate and his legacy will increase the John T. Dexter Fund. This year, in addition to the chess camp, three scholarships were awarded totaling $5,000 made possible because of the generous spirit of John T. Dexter. 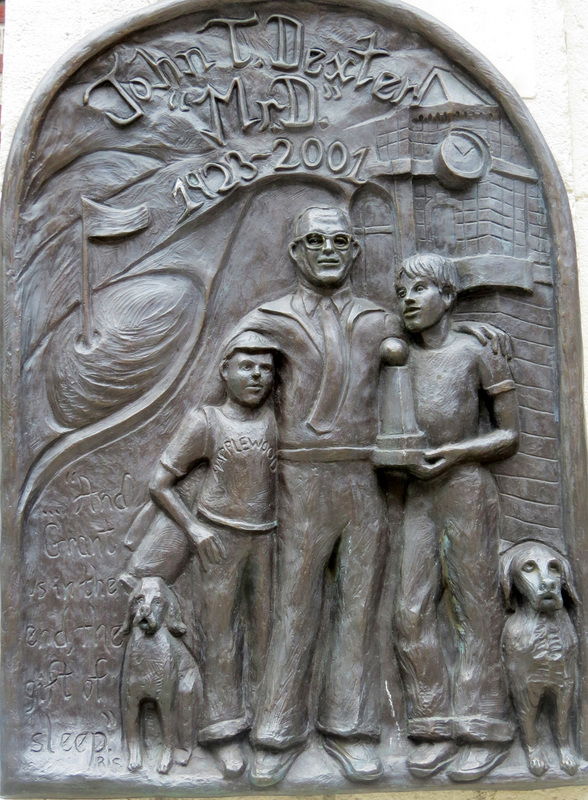 During the fall, winter and springs, the NBSIS’ Shaw House saw John and Mario organizing and conducting numerous games and tournaments that the neighborhood North Enders consumed, sometimes even with vengeance. Sure there was basketball, but the ceiling was low, real low. The ping pong tables were always in use where again there were not only low ceilings but even brick walls to contend with. No doubt, the physical constraints made us all that much better. 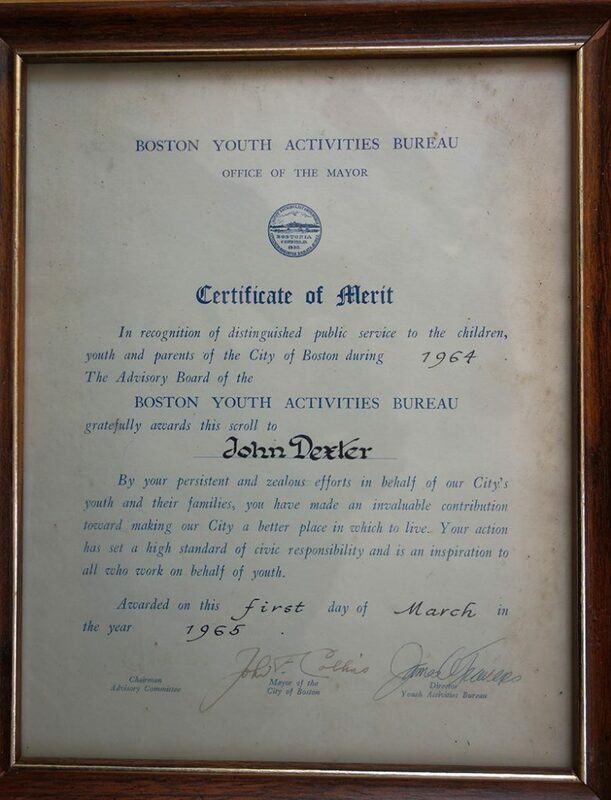 Then there was the bowling leagues, first on Hanover Street and then at the North Station. “Slap,” of course, could be played anywhere. The Caddy Camps at Maplewood, Lake Tarlton, Clauson’s, Oyster Harbors and Wianno all provided places and times that were special for each era and location. At each camp, JTD was omnipresent: from the cold showers to the raisins and peanut butter to the Black Salve and Country Squires. Be it at the Shaw House or one of the camps, JTD (with his various staffs) always provided environments that allowed us young boys and adults not only to have fun but also to grow, and not just physically. Some became ping pong champs, others golf pros and elected officials. Many became teachers, professors, dentists, doctors and bankers. Of course, everyone did grow up and because of D’s help, some of our childhood and young adult lives possessed experiences and memories that are priceless. The JTD era may have ended, but surely D would want each of us to recall and enjoy our memories, memories that exist with and because of him.